Both Crvena Zvezda and Partizan Belgrade bounced back from EuroCup elimination by dominating their ABA League games. Round 18 of the ABA League regular season has been a successful one for the championship’s Serbian powerhouses. 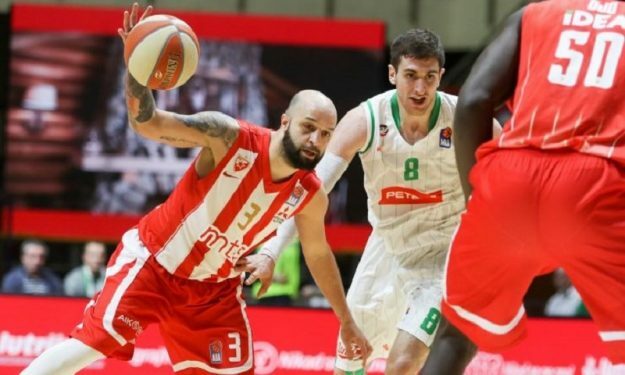 After sustaining its first loss last week, Crvena Zvezda routed Petrol Olimpija 89 – 61 behind Filip Covic’s excellent playmaking (12 assists to go with his 10 points) output. Miha Lapornik notched 14 points and Jan Span 13 for the Slovenian side that dropped to 5 – 13. In Zagreb, Partizan Belgrade crushed local Cibona 59 – 83 and made one more step towards securing a playoffs spot by improving to 12 – 6. Dorde Gagic finished with 16 points while Marcus Paige and Jock Landale scored 12 apiece. Marko Ljubicic posted 18 points for Cibona that is now 7-11.